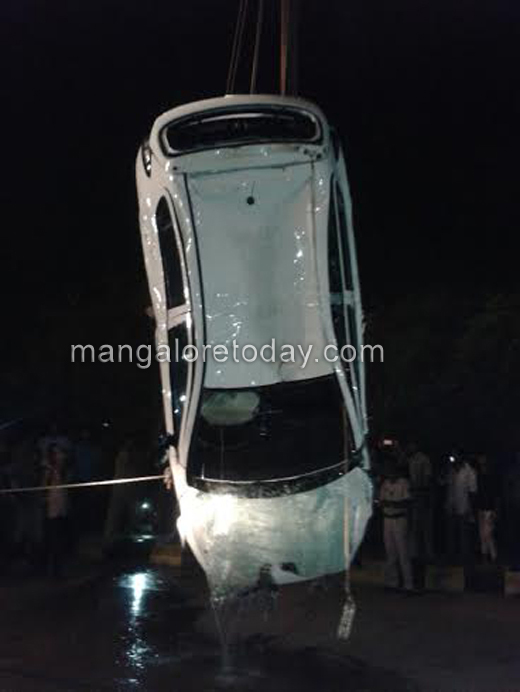 Mangaluru, May 12, 2015: A young man and a woman who were travelling in a Hyundai i20 car from Kulur towards Tannirbavi beach met a watery grave, when their speeding car lost control of the driver and plunged into the Gurupur river on May 12, Tuesday evening. 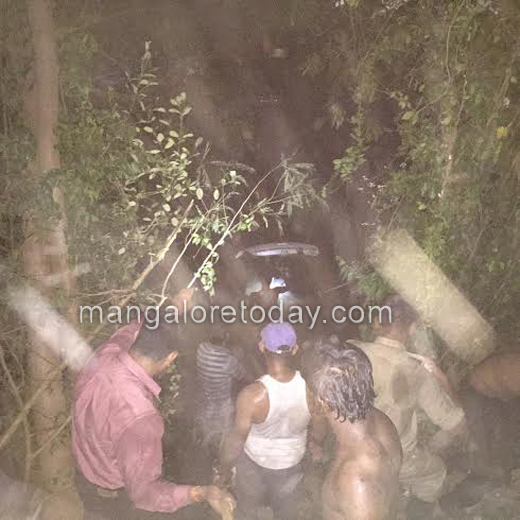 The deceased have been identified as Tasheel (21), son of Mohammad Rafique of Falnir and Prineeta Suvarna who hailed from Karwar but resided at her grandmother’s house at Balmatta. 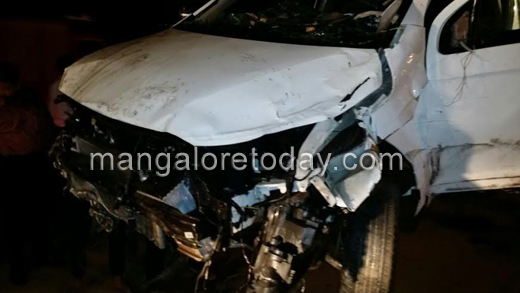 It has been gathered that just as Tasheel who was driving the car lost control over the vehicle, the car veered to the extreme side of the road before plunging into the river. 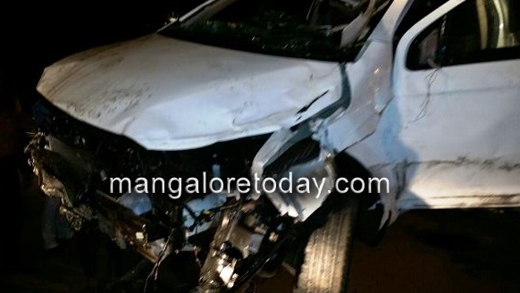 The mishap is learnt to have taken place while Tasheel tried to overtake another vehicle. The bodies were retrieved after breaking open the glasses as the car doors which were centrally locked could not be opened. The sand workers and locals assisted the police fire service personnel in retrieving the bodies. 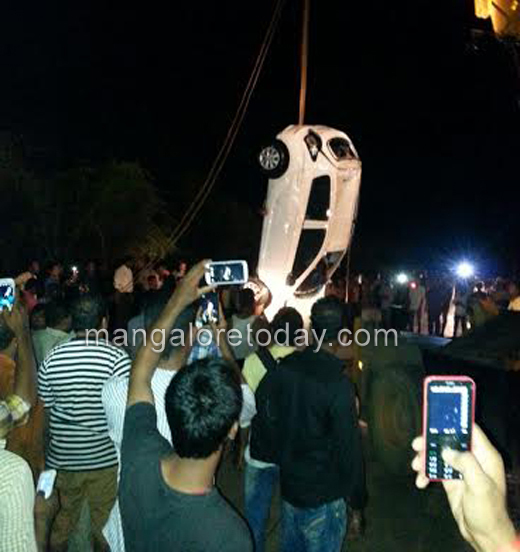 The car was removed later with the help of a crane. 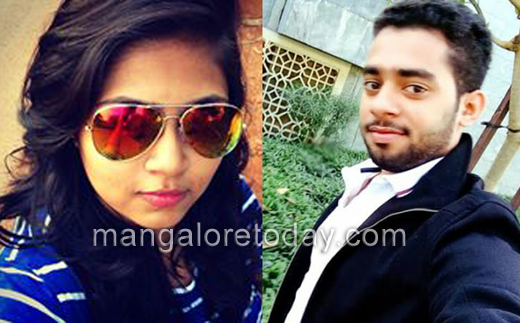 The deceased Tasheel was into business while Prineeta was doing PUC course through correspondence.